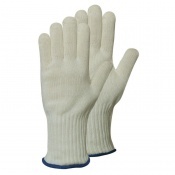 We have a range of Coolskin Oven Gloves to help protect your hands against heat. The flexible, comfortable and dexterous gloves are ideal for a number of uses as well as providing ultimate heat protection. They are ideal for those suffering from poor eyesight or memory loss and need protection against whether they have left the hob on or not.